Can you add an e-signature to that document? Digital or e-signatures can save hours of hunting for a scanner, and alleviate the travel associated with meeting clients in person to get things signed. 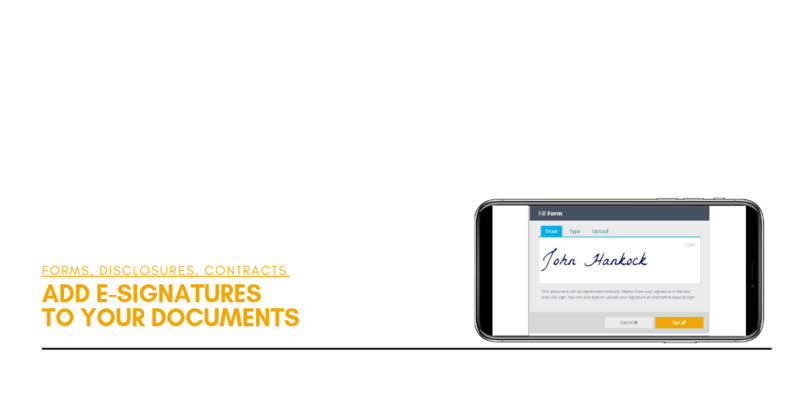 Why not add them to your forms, documents, contracts and disclosure documents?